You all created some lovely projects for the moms in your life, and we loved seeing them!! I am always in awe of how creative you all are in your use of the Avery Elle images to suit the challenges – your out of the box thinking is always so genius! So, we all voted – here is our winner! Aren’t they all amazing?!! 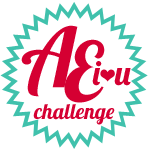 Seriously, week after week, the challenge submissions leave us in amazement and awe! You all rock! Thank you all who participated in the last challenge!! We hope you’ll join us right back here tomorrow morning for the next challenge – it’s a super fun one!! Thanks for stopping by! Congratulations to Lindsay and to Vanessa! And thanks for recognizing my card, too! Love your challenges!